No laughing matter: Arctic sea ice continues to shrink. New satellite image analysis estimates the Arctic ice is the fourth-lowest it's ever been. It’s not the worst it’s ever been but it’s certainly not good. The National Snow and Ice Data Center announced on Wednesday that the Arctic sea ice had reached its annual minimal extent, and it was the fourth worst in recorded history. As the Washington Post reports, the annual minimal extent was reached on September 11 at 1.7 million square miles. That was lower than any other year in history except 2007, 2011, and the worst year ever, 2012. This year was over 600,000 square miles less than the national average set between 1981 and 2010. Most alarmingly, the lowest extents have all occurred recently. The NSIDC wrote that, “the nine lowest extents in the satellite area have all occurred in the last nine years.” The trend continued this year despite there being no major event to trigger a low ice level. The Arctic ice extent both reflects and influences our planet. Scientists believe it is one of the most tangible results of an overall warming Earth. As the ice shrinks, it takes away valuable habitat for animals such as walruses. It is also suspected that the level of ice affects atmospheric circulation and therefore northern hemisphere weather. 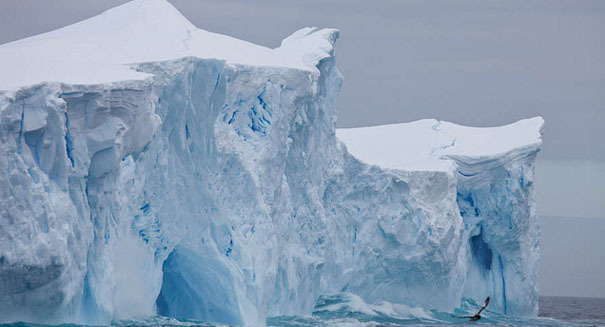 In other words, the ice doesn’t lie: Earth is changing, and probably not for the better.